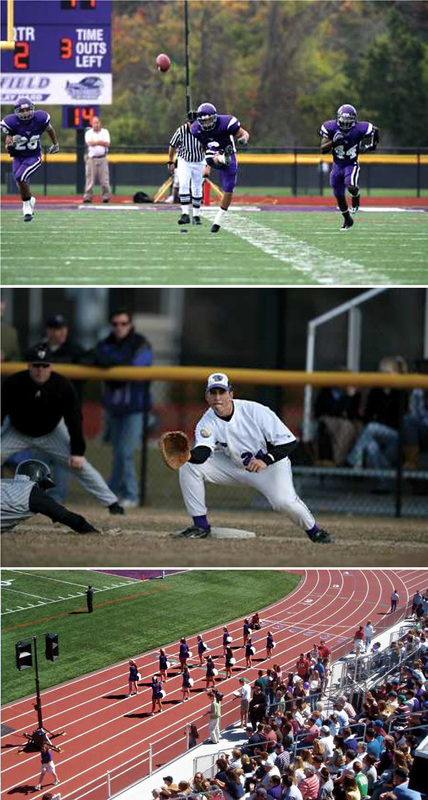 Huntress Sports coordinated the master planning, engineering, design and permitting of a new athletic field complex at Stonehill College in North Easton Massachusetts. Working with the Athletic Department, HAI reviewed the athletic program needs, developing a Conceptual Master Plan and preliminary costs estimate for the new facilities. The athletic program includes an 8 lane 400 meter track, multi-purpose synthetic turf field, sports lighting, 2400 seat grandstand, NCAA baseball field and two practice soccer fields with associated walkways and parking areas. AI provided an overview of existing environmental conditions including jurisdictional wetlands, endangered species impact, vernal pool identification, limit of 100 year flood plane, and River's Protection Act requirements.